You won't even need to look in the help section to get the most out of this software. And that's because it couldn't possibly be any easier to use. BitOptimizer was built with the vision that all the tools you need for computer repair, maintenance and performance improvement should be located in one place. Plus, your software is regularly updated with the latest drivers and definitions to keep your system on the cutting-edge. Whenever you want to perform a driver update or a registry clean, you're just a few clicks away from getting it done. Plus, the system restore function protects you against any data loss. 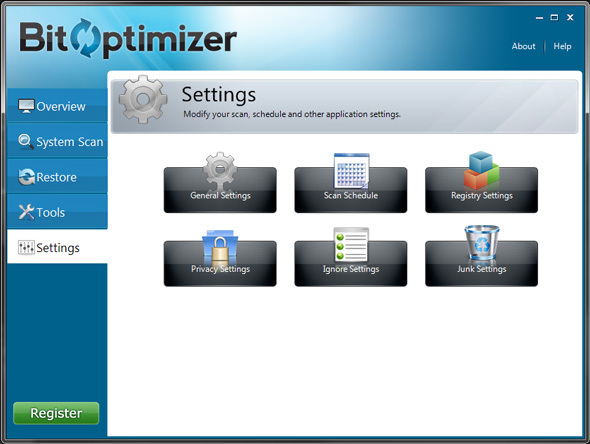 We invite you to take BitOptimizer for a test run we welcome all of your feedback. If you have any questions feel free to get in touch with us via our contact page.